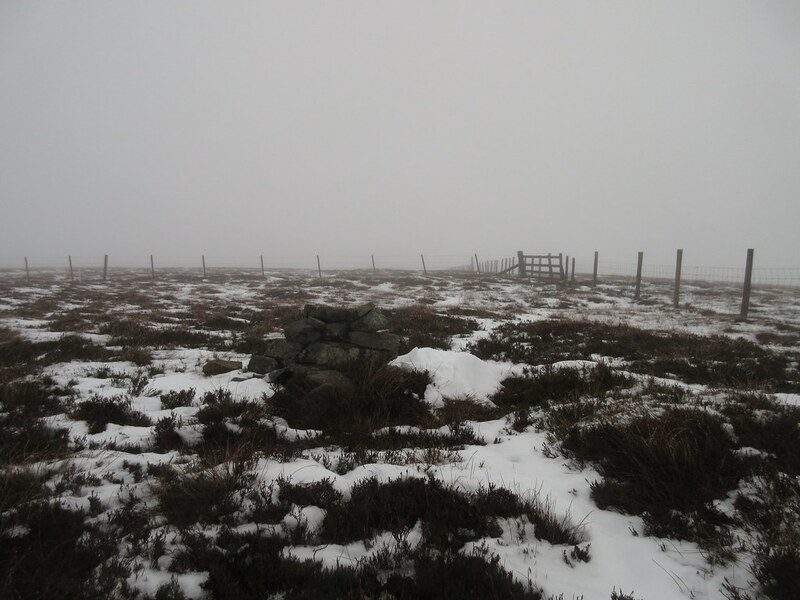 Weather: Calm but cloudy on the summit, with a glimpse of sun. The Scottishhills Christmas meet beckoned this weekend, but having just moved down to NE England a few days earlier to cut out the large amounts of weekly travelling I was doing, it seemed a bit soon to be heading back to the Highlands! So I decided to head out for a cycle into the Pennines from Sunderland instead - probably a better option for my liver as well. To reach the good stuff from Sunderland, there's a lot of semi-urban dereliction, motorways and ringroads to cross, so I decided to cut some of it out and get the train through to Hexham. 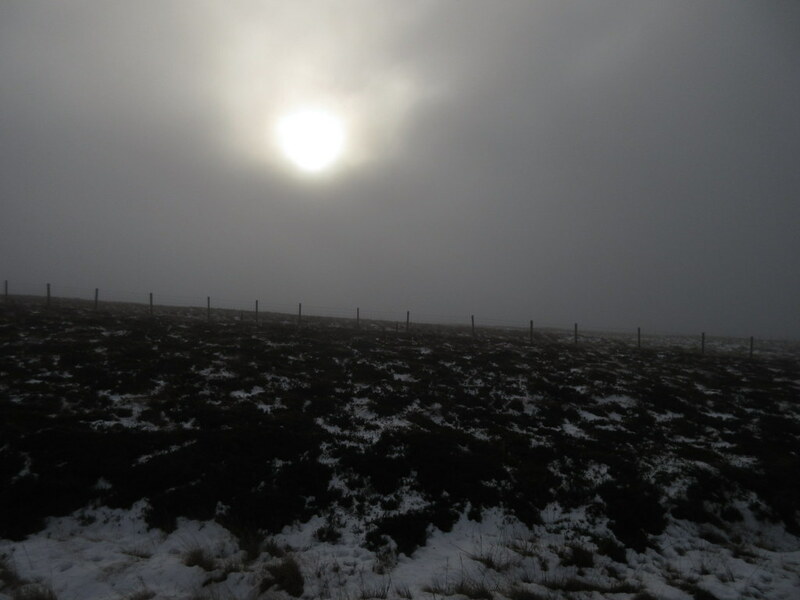 I was setting off from Hexham shortly after 9am, a grey fog covering everything. 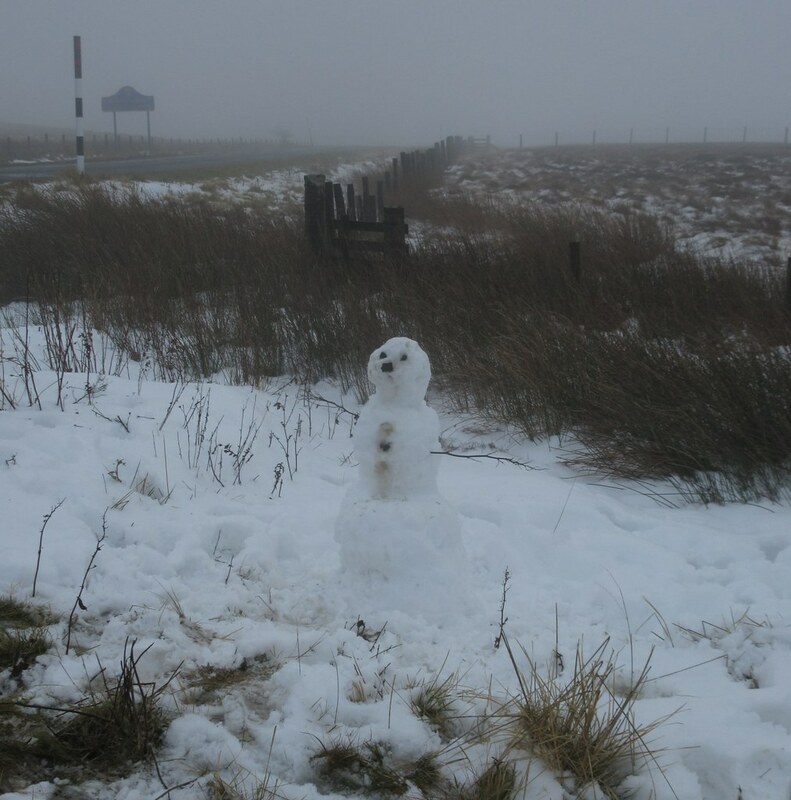 It had snowed like crazy a couple of days earlier - even right down on the coast, but a day or so of warmer weather had set quite a big thaw in already. 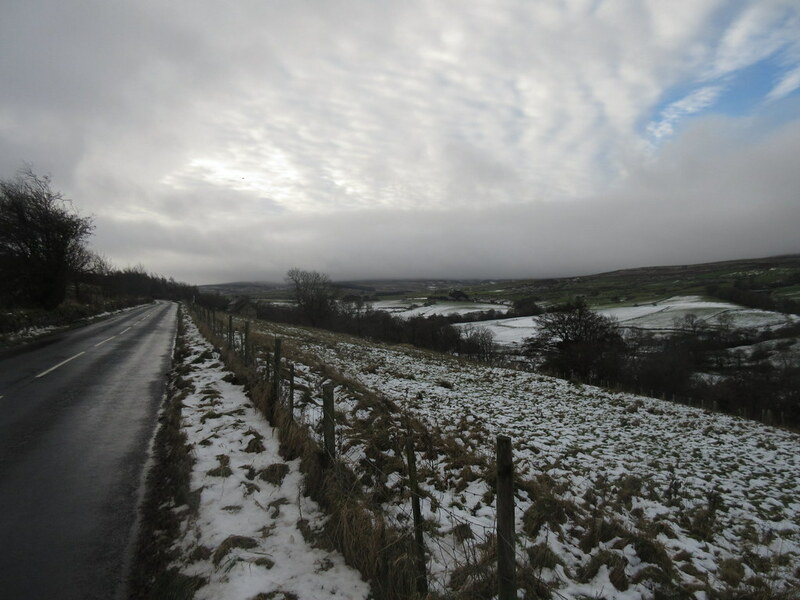 The first 8 or 9 miles were a viewless plod uphill into the wind, but after turning the corner into Allendale, the weather began to clear up, and there were even glimpses of blue skies. The scenery was better too - I was definitely out in hill country, and the roads were nice and quiet too. Perhaps not a big surprise as some of the high passes were probably closed a couple of days earlier with the snow. 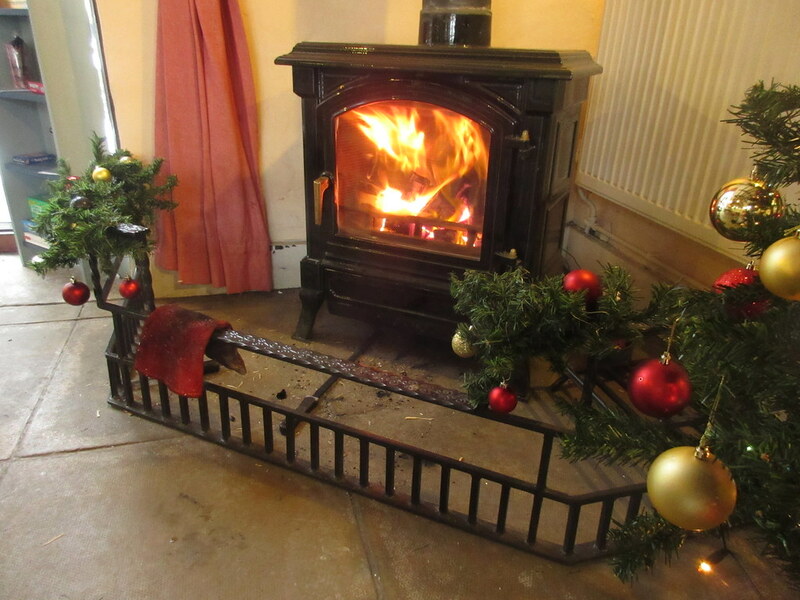 Allenheads came a little early in the ride for a stop (barely 20 miles), but I followed signs to a café and couldn't resist a seat by their woodburning stove for a bacon roll and a coffee . As always on the bike, food seems to be followed by a big climb - not a great combination! Fortunately I was already quite high, so the last pull almost up to the 600m contour didn't seem so bad. 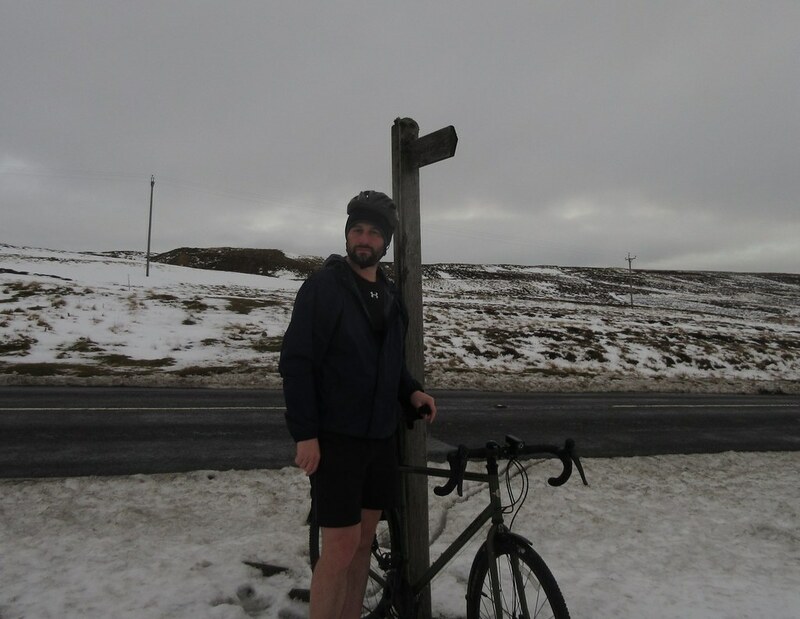 I met another cyclist coming the other way at the top who was a bit baffled by my shorts - soft southerners! Since I was up here, I thought I'd indulge in a bit of bagging despite being back in the mist again. Middlehope Moor is probably one of the least inspiring in a series of hearhery mounds around Weardale, but I was already practically at the top of it, so it seemed rude not to. There may only have been 30m of ascent in the walk, but there was probably about a squillion or so in the cycle to make up for it. 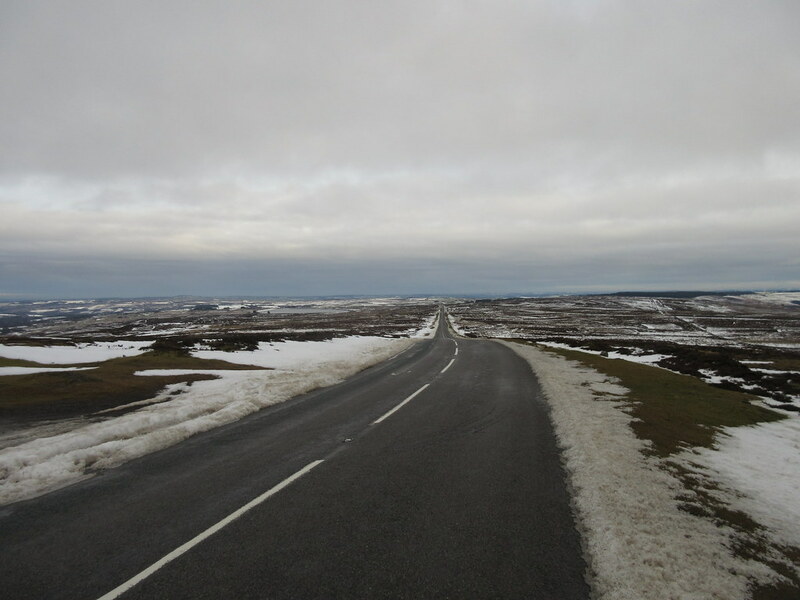 Fortunately the next bit was a fun 250m descent to Cowhill and the head of Weardale, followed by an enjoyable wind-assisted pedal along the valley through numerous small villages. Having never entered into the big chunk of countryside between the A66 and Hadrian's Wall before, this was all new and enjoyable to me despite the greyness. Stanhope had seemed like a good place to stop for lunch when I was planning the route, and so it was, even if it was a little soon after the last stop. 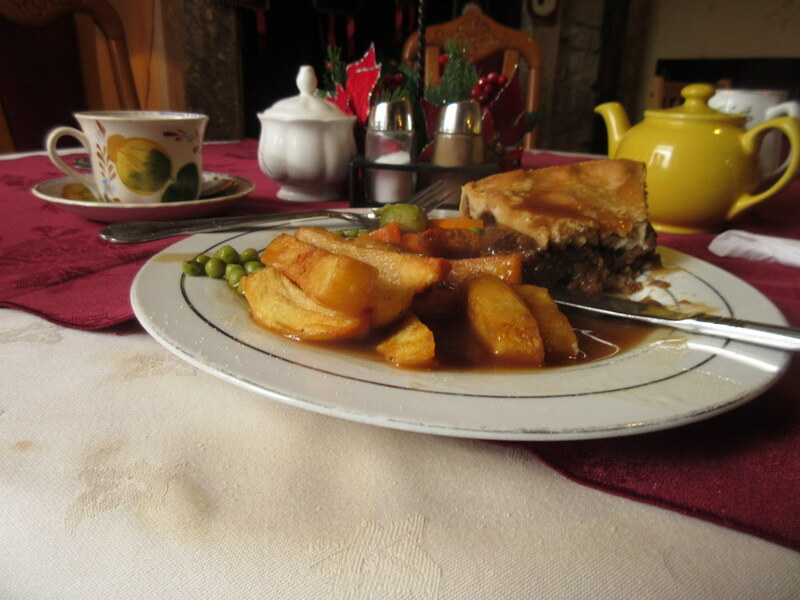 The tearoom I found was decidedly old-skool, but did an excellent steak pie and chips, cream scone and pot of tea for a little over a tenner. You just don't get lunch stops like this when you're out walking! 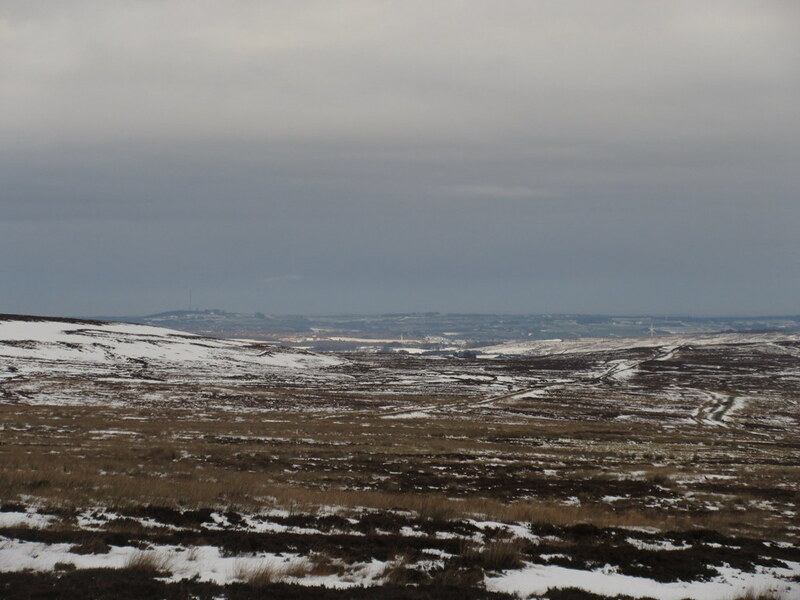 Again, bellyful of food was followed by a massive climb - this time onto Stanhope Common. A bloody steep start as well, but followed up by what seemed like miles and miles of wind-assisted descent over snowy moorlands . Just before leaving I discovered that my road map didn't cover the southern part of the journey - unfortunate since it involved an endless labyrinth of back roads crossing between Lanchester, Chester-Le-Street and Lumley. I had a dozen or so screenshots of map to flick through, and considering how hard it was to work out where I was half of the time, I managed to cut an impressively straight line back to Sunderland. 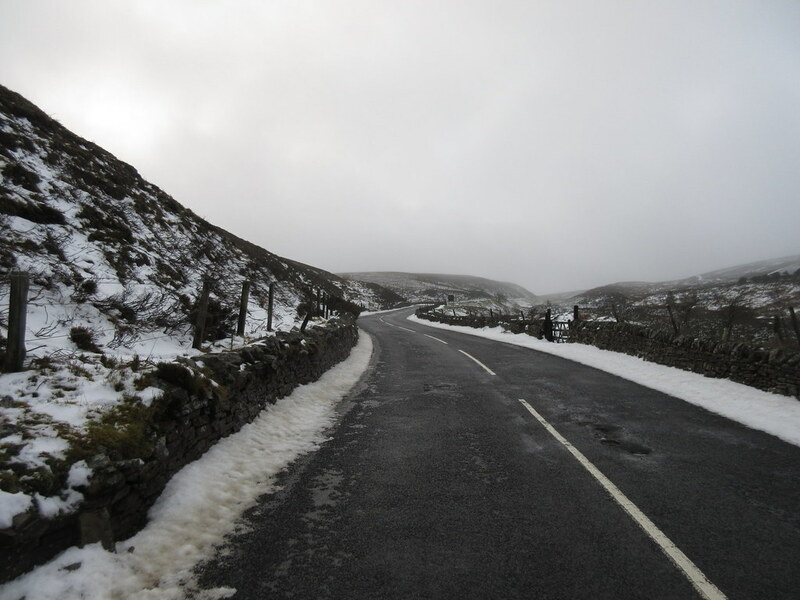 Not without some fun though - there was a ferocious climb out of Lanchester - probably tougher than any of the ones out in hill country. There's some pretty exposed-to-the-elements villages (such as Burnhope) stuck out on the tops of the lower hills hereabouts. Eventually I was on the road towards Sunderland, taking the occasional glimpse behind me to an impressive sunset. 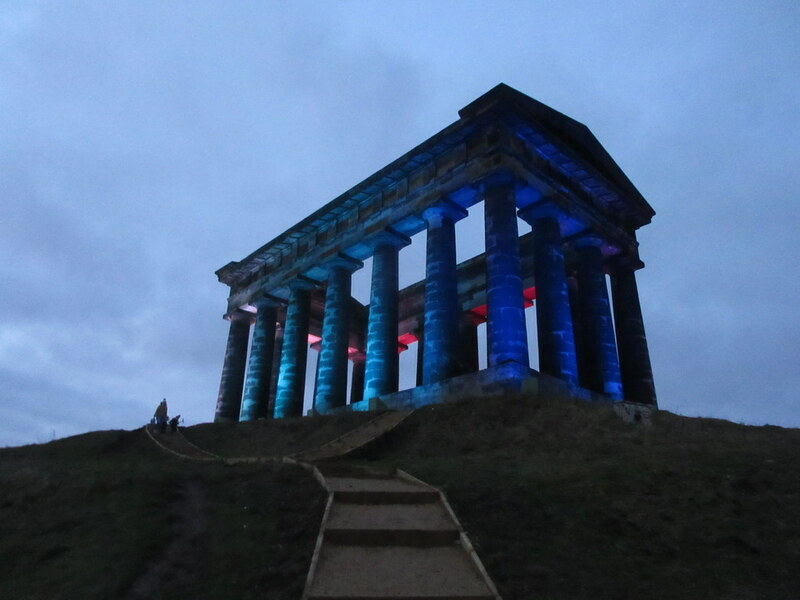 Passing the Penshaw monument on the edge of the city, I decide to stop off quickly and see if I could get a last photo of the sunset from up there. Sadly I was too late. 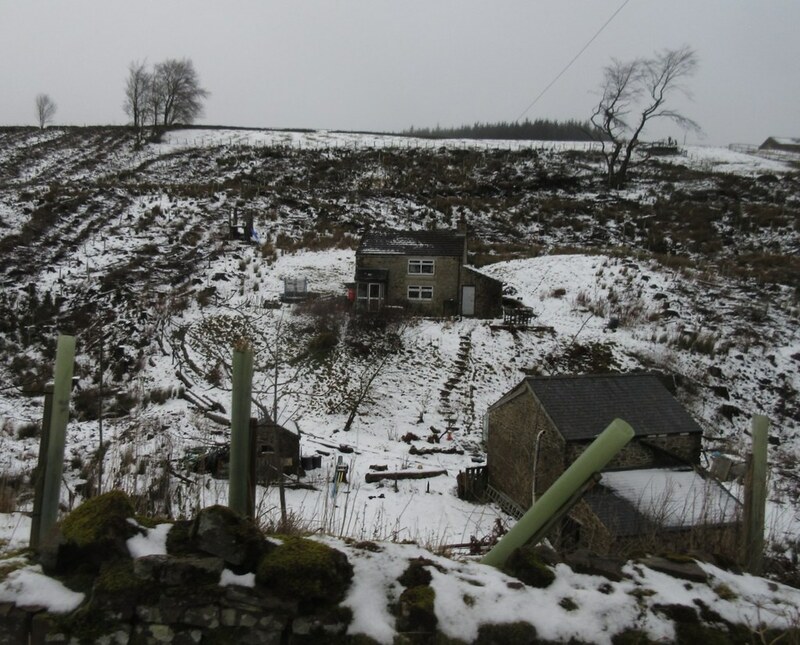 Then downhill and home - I'll be back out in the Pennines both on foot and on the bike before too long, I'm sure. I'm surprised that the sight of a cyclist in shorts in that weather didn't cause multiple pile-ups!!! Hi Malky and welcome to the NE. Best of luck following the dialect of the area you are living in. Good report and an excellent effort. Don't know if you have sussed it by now but the whole area is blessed by off road cycle tracks. The sustrans tracks can you get you out of Sunderland quickly either up to the Durham, Chester left Street or South Shields areas. Durham and Chester routes if you follow the C to C routes will get you on the moors quickly and the South Shields route will take you the ferry to North Shields and cycle tracks all the way up the North Tyne. There is also the NE coast routes than be cycled and could get you over to the Wooler areas. Enjoy it, there is plenty of choice.